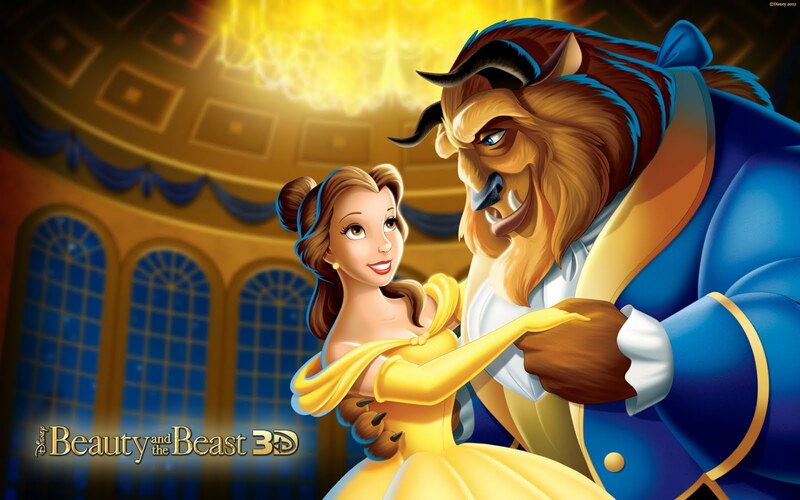 This movie, along with many other movies of the same title, is based on the story La Belle et la Bête by Madame Gabrielle-Suzanne Barbot de Villeneuve. There are several major differences between the film and the story, but I haven't room to go on about them here. If you're curious, here are two great articles from Disneyfied or Disney Tried? and Moviepilot explaining the differences. The story adaption, however, worked very well for the film. This film was one of the first to combine computer animation with traditional animation. Aladdin also combined the two. The animation was very well done, possibly the best of the Disney Renaissance. I'd even go as far to say that the animation was better in this film than The Princess and the Frog, which was made 18 years later. It was extremely well done. The god of Disney music himself (aka Alan Menken) wrote the songs for this film. Naturally, it was all fantastic. The man can't write anything that isn't award-winning. Every song was amazing and memorable. I don't know a single person who hasn't at least attempted to sing "Be Our Guest" in a french accent. This is possibly the most underrated film from the Disney Renaissance. The Lion King seems to get all the hype from this era. It was visually stunning and emotionally compelling. The music was fun to listen to and to sing along to. This is a must-see for any Disney, writing, animation, or music fan.